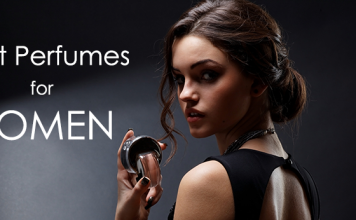 What do you expect from a men’s perfume or a men’s cologne? Well, the first attribute which comes to our mind is that it must have the elegance and class to define the masculinity of the bearer of that particular cologne. And this is where Giorgio Armani’s colognes and perfumes make everyone turn their tables to take notice of them. The colognes and perfumes which are produced by Giorgio Armani have become an elegant piece of art, breaking the barriers of times and ages and has become a cradle for the innovations which is a benchmark attribute of the brand which is Armani. One of the most vital things which makes the colognes from Giorgio Armani stand apart from all the other colognes is that Armani has colognes for each and every occasion and mood as well. Its extensive perfume research wing has made it sure that the catalog of Armani Colognes has the exact touch of the scent, which compliments the mood and the occasion. It might seem surreal or even sometimes unreal, but Armani Colognes do have a range of 18 different colognes for the men, with each one of them having a distinctive scent. All these colognes are specially designed to accommodate all the possible situations and moods of a man. 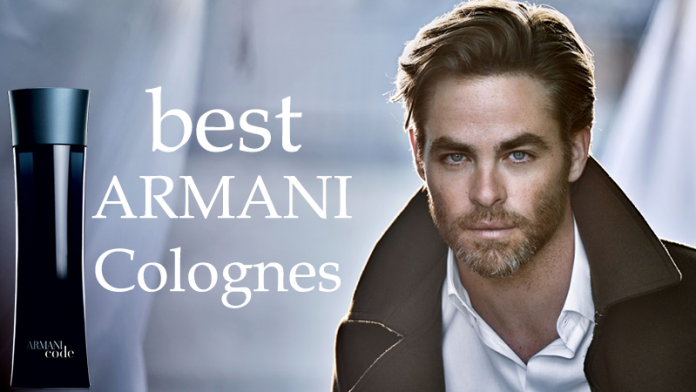 Thus, choosing one from this brilliant collection of colognes might often become confusing; but with the Armani’s effective guidance routine, you will be able to choose the ideal cologne for your occasion. Be it woody or floral, aqua or aromatic, Armani’s range of colognes has got it all to serve the moods and demands of its highly demanding clients. The Acqua Di Gio cologne produced by Armani is a result of the amalgamation of flavors which are naughty as well as calm at the same time. Apart from the trademark tingly and citrusy scent of a wide range of citrus fruits, it also exhibits the incense of flowers such as jasmine, clubbed with the herbs like rosemary on a fine and mellow woody foundation. All these flavors blend in together to form the masterpiece which we see as the Armani’s Acqua Di Gio. The main purpose of including a woody incense is to introduce a rustic scent, which when amalgamates with the citrusy scents, creates an excellent feeling of cool sea winds breezing over your body. The Acqua Di Gio was created with the intention of making a cologne which would be ideal for beach parties or more often, a perfume which would take out all the tensions from a hectic day at work. Armani’s legendary Black Code cologne is more than just a scent, it is an expression of masculinity with a pinch of exotic seduction. Basically, the Black Code of Armani is an amalgamation of the scent of timber, which has been mellowed with the addition of a pinch of flowers of the orange tree. And regarding the seductiveness and exotic nature of the cologne, dusky guaiac and tonka beans are added to bring out the classic exotic scent of the Black Code.Well, although each of Armani’s cologne has a specific mood or occasion to do, yet, the Black Code goes best with the late dates and men can wear it when going for a date out in the town. Basically, Eau Pour Homme is such a kind of cologne which should be an ideal member of every man’s wardrobe. Speaking about its fragrance, it is somewhat between a classic and a casual scent. To be more precise, it has a fragrance which is aromatic and citrusy at the same time, giving it a dual characteristic of being a semi-casual cologne. Regarding the contents of the cologne, it contains a pinch of green lemons, mandarins as well as bergamots. In addition, Eau Pour Homme also has traces of flowers which include jasmines, lavenders, and rosemary. Basically, it derives its aromatic characteristic from the cloves, coriander, and cinnamons which are added to the fragrance. 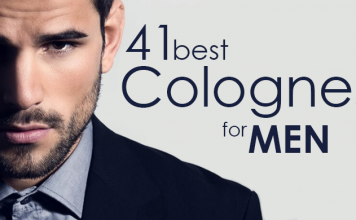 Moreover, oakmoss, cedar, and patchouli are added to bring in the musky scent of the cologne. Although most of the colognes in Armani’s catalog comprises of mild and mellow fragrances, yet, the Acqua Di Gio Essenza is somewhat stronger and more aggressive than its predecessors. The fragrance of this cologne houses the scents of aquatic flavors and casualties. Furthermore, paradise is amalgamated in the cologne to give that extra punch of aggression in the cologne. But, though it is comparatively stronger than other colognes, yet, it is one of the most sensual fragrances of Armani. This is an improved version of the Armani’s Back Code. 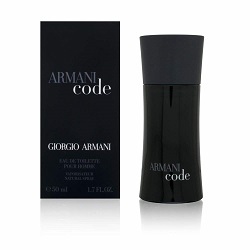 It has taken the entire fragrance of the Armani’s Code to a new level, to the shores of the Orient. Along with all other ingredients of the older Black Code, this Eau De Toilette has in addition, some flowers from the olive trees. Thus, this combination of the orange flowers, Tonka beans, guaiac, and bergamots creates a magic, which gives a new dimension of masculinity to the men.